According to a poll by Anisa international 22% of women who use makeup brushes said they have never cleaned them. The poll also revealed that a further 39% washed their makeup brushes less than once a month. The statistics here are particularly shocking as it is recommended you wash the brushes on a weekly basis. ‘The Skin Nerd’, Jennifer Rock said in her blog that skin infections can occur due to dirty makeup brushes which is entirely preventable. One of the most common infections that can occur is a staph infection, which is no surprise as your brushes can carry E. Coli, viruses and many other bacteria. She explained that makeup applicators are often hotbeds for bacteria as they cling onto bristles very well, therefore, requiring thorough and frequent disinfecting. The most simple and recommended method of cleaning is to use dish soap or even baby shampoo, a silicone trivet or sponge, and a clean towel. Suzanne Jackson explained to run the silicone trivet or sponge and your brushes under warm water. Apply a moderate amount of antibacterial soap or baby shampoo onto the brush, then swirl and rub it against the sponge or silicone trivet to lather. Rinse the brushes with warm water again and ensure all the soap is rinsed out. Lastly, squeeze out excess water and leave on a clean towel to dry. Since most makeup users are now applying foundation with makeup sponges and they absorb much more oil, dead skin, and bacteria off your skin they should be washed once a week. To wash your makeup sponge, soak it in a solution of water and antibacterial soap or baby shampoo. Massage the solution thoroughly into the sponge and aim toward spots with obvious stains. Rinse the sponge out, making sure to remove all of the solution, and let it air-dry. With these simple and cleaning methods, you can avoid unwanted breakouts and harmful infections. 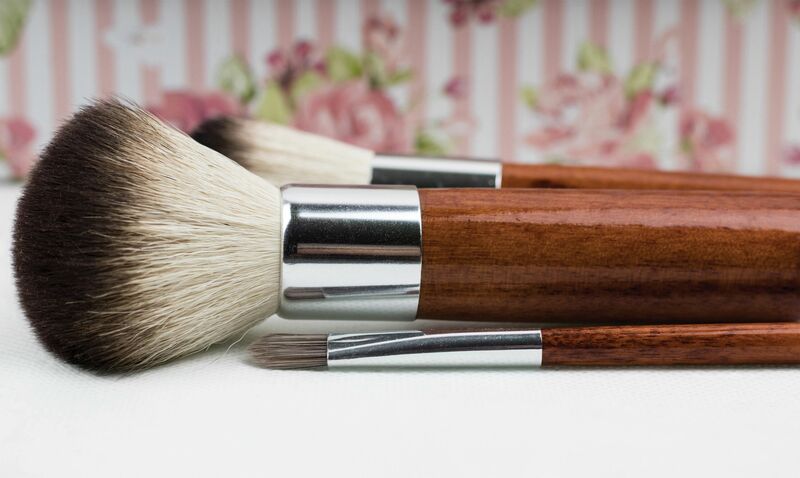 Ideally though, you should also be replacing your brushes and sponges every three months, to ensure you are using clean and safe makeup applicators.